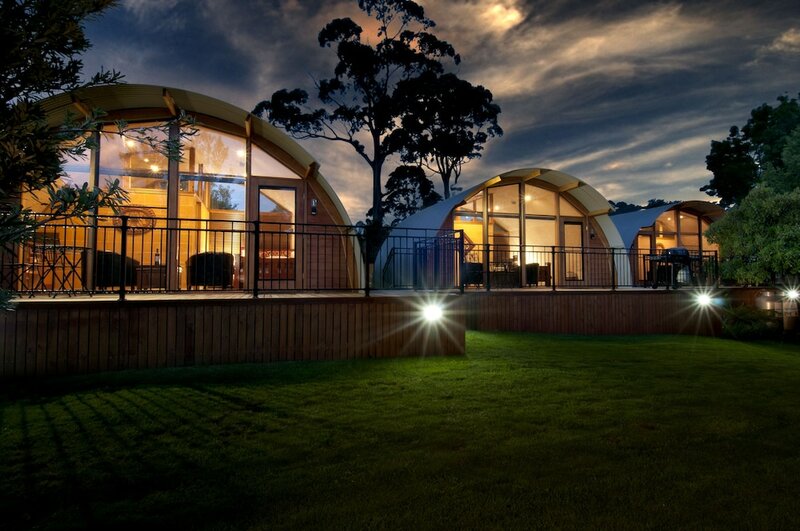 When you stay at 43 Degrees Bruny Island in Adventure Bay, you'll be near the beach and 14 minutes by foot from South Bruny National Park. This cabin is 24.3 mi (39.1 km) from Bruny Island Ferry Terminal and 26.3 mi (42.4 km) from Kettering Ferry Terminal. Make yourself at home in one of the 5 air-conditioned rooms featuring kitchenettes with refrigerators and microwaves. Rooms have private furnished patios. Flat-screen televisions are provided for your entertainment. Private bathrooms with shower/tub combinations feature jetted bathtubs and complimentary toiletries.